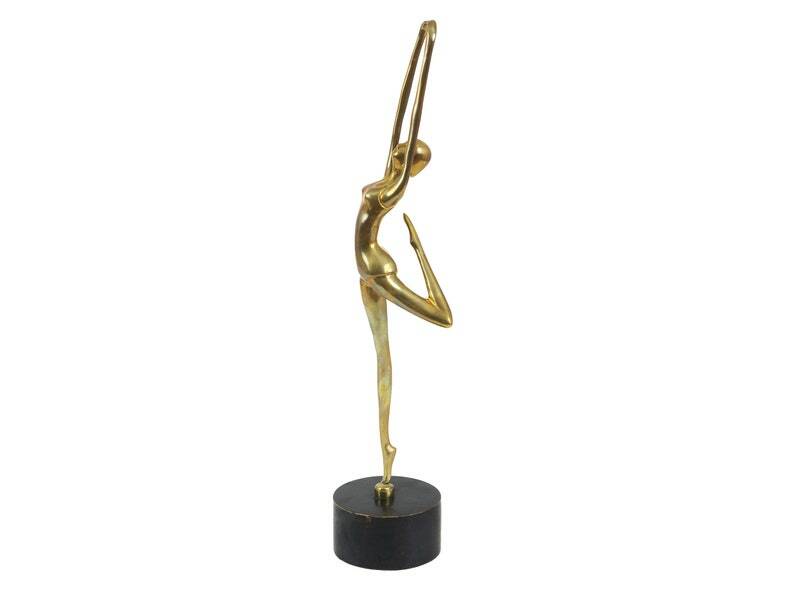 A tall brass table sculpture of a dancer/ballerina on a round wooden base. Great vintage condition with an appropriate patina for its age. Marked KOREA on the bottom. Dimensions: 19.25" x 4" x 4"